FamilyTreeDNA, an early pioneer of the rapidly growing market for consumer genetic testing, confirmed that it has granted the Federal Bureau of Investigation access to its 2 million genetic profiles. 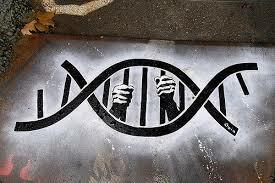 One person sharing genetic information also exposes those to whom they are closely related. Only 2% of the population needs to have done a DNA test for virtually everyone’s genetic information to be represented in that data. FamilyTreeDNA’s cooperation with the FBI doubles the amount of genetic data law enforcement already had access to through GEDmatch.